Elias Whitby Jnr was born in Yeovil on 19 February 1810, the son of glove manufacturer and a wool dealer Elias Whitby Snr and Hannah née Hooper. On 19 February 1833 he married Hannah Lyndall (1808-1888), originally from Hoxton, London, and the daughter of Samuel and Rebecca Lyndall of Hoxton. Elias and Hannah were to have eleven children; Elias Lyndall (1833-1911), Joseph (1836-1915), Sarah Schreiner (b1838), Agnes (b1839), Catherine (b1841), Samuel (b1842), James (b1845), Robert (b1847), Anna (b1849), Oliver Rolland (b1851), and Mary Alice (b1852). He was a glove manufacturer in partnership with his father and brother James. Their glove factory was sited where the Glovers Walk shopping precinct now stands. This partnership was dissolved by mutual consent in February 1849 and the notice was published in the London Gazette. 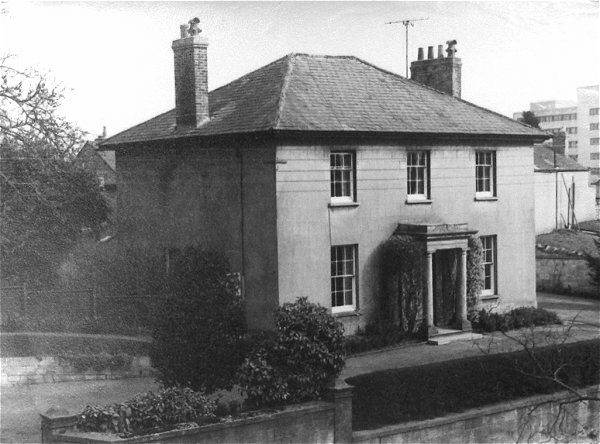 The 1846 Tithe Apportionment noted that Elias was the owner / occupier of the large house called Ashgrove in Mudford Road, on the corner of Sparrow Lane (today's Sparrow Road). In the 1851 census Elias was recorded as Elias Whitby Jnr and gave his occupation as gloving master. He and Hannah and ten of their children were listed living at Green Quarry - although this was almost certainly Ashgrove. He was a Town Commissioner and argued strongly in favour of municipal reform as well as arguing for a repeal of the laws against Nonconformists. He was elected to the Borough Council in 1854 and was on the Burgess List from 1854 until his death. By the time of the 1861 census Elias and Hannah had moved to a house in Kingston, named Kingston House, where he gave his occupation as 'retired glove manufacturer, town councillor'. They were living there with the children and two servants. 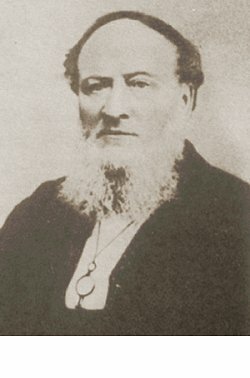 He became mayor of Yeovil from 1862 to 1864 and re-elected in 1872-3. In the 1871 census, still living in Kingston with Hannah with three of the children and two servants, Elias gave his occupation as magistrate. In 1854 Whitby purchased a building in Union Street, a disused glove factory, for £325 (over £230,000 in 2017's value) which he gave to the Baptist Church in South Street, where he served as Senior Deacon, as a temporary school for the children of its members. In 1864 he was noted as owning a house, office, orchard, two cottages and gardens in Kingston as well as a glove factory in Middle Street. In 1877 Elias purchased the Railway Inn in Middle Street, complete with its outbuildings, a glove factory and a leather dressing yard. This property was bounded on the north by property belonging to William Bide and on the east by premises owned by the Pittard family. In 1871 Elias Whitby was appointed as a Borough Magistrate. "The gentleman now deceased was for many years actively engaged in connection with both the business and public affairs of the town. He was long the principle of one of the most important and successful of our many glove-manufacturing firms, and the town shared with himself the fruits of his enterprise. Mr Whitby was an exhibitor of gloves at the first Exhibition (1851) and carried off the only medal that then fell to the lot of Yeovil - a prize for 'excellence of workmanship'. We believe that the staple trade of the town was considerably stimulated by the exhibition of its productions on that occasion. Mr Whitby, being convinced that Yeovil stood greatly in need of an improved system of drainage and water supply, was among those who agitated for the incorporation of the town; and when the agitation was a successful issue (in 1854) he was elected to the first Town Council. In that body he sat almost continuously until increasing age and infirmities prevented his attendance. It would, of course, be impossible for any man of independent judgment to take an active part in the public affairs of a considerable town throughout the greater part of his life without sometimes finding his views combated by his fellow-workers. Such was necessarily Mr Whitby's fate at times; but those who occasionally dissented most widely from his view will be among the first to admit that he was zealous and outspoken, and that he rendered very substantial service to his native town." After his death Hannah remained in Kingston House until her own death on 2 September 1888. Ashgrove, photographed in the 1970s. This was the home of Elias Whitby Jnr in the 1840s. 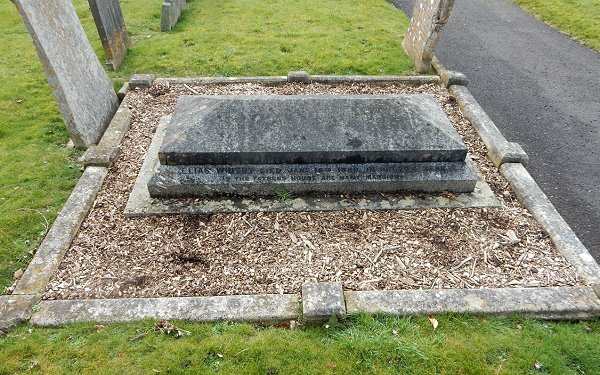 Elias Whitby's grave in Yeovil Cemetery. Photographed in 2015. This page last updated 12 July 2017.